Hello folks, after a very long time I'm sharing you a trick which will give freebies at your doorstep without any sharing or doing any other survey. 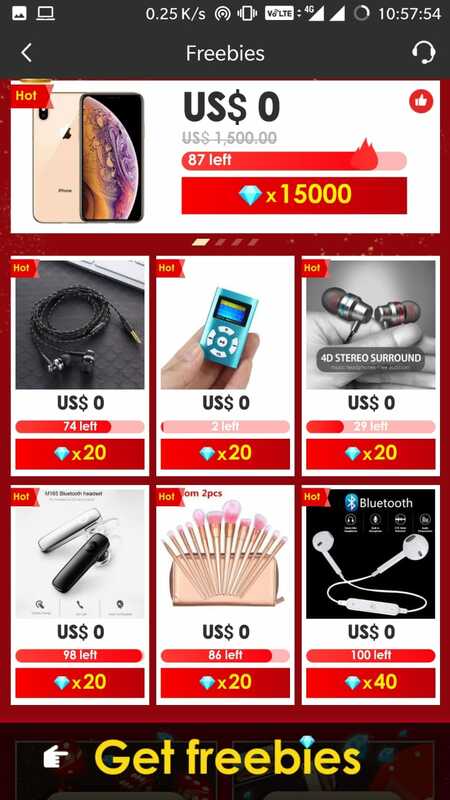 These Freebies include Bluetooth headphones, Smart watches, USB Cables, Mobile phones, Laptops and much more for just signing up. Actually, app named vova is giving away freebies for just signing up. These Freebies will deliver all over the world without any delivery charges and they have easy return and replace policy. You just have to download the vova app from the given link and you're ready to go. 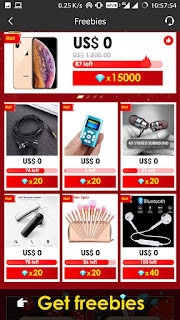 How To Get Free Earphones, Watches , Bluetooth Headset ? Click on Get Freebies Button. It will Redirect you to Play Store. Normally Install the App and Launch it. Select your Gender Male or Female [ Its Not Matter for Free Products ]. Now you will get Register Option. Enter your Email and password. Once your Registration is Successful, You will get Pop up. Click on Get it Orange Button. 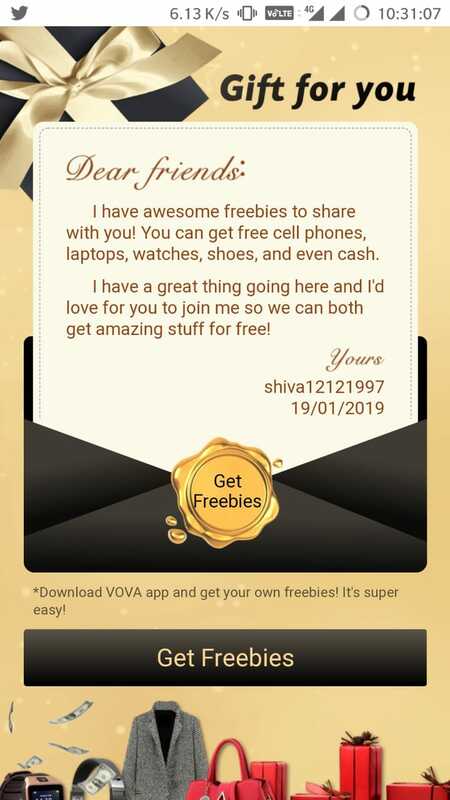 Instead of Homepage, Your Vova Freebies Page will Open with Pop up. Again Click on Get it Now. That’s It You will get upto 20 Diamond in your Account within 24 hours , Now Scroll Down Below you will get Lots of Products. Select your Favorite Product and Enter your Delivery Address. Select your Payment Method as Paypal (So it'll be safer than directly paying on Vova). UPDATE- Now you can pay with BHIM UPI. Your Order has Been Placed and Within 10 to 30 Days it will Handover to you. 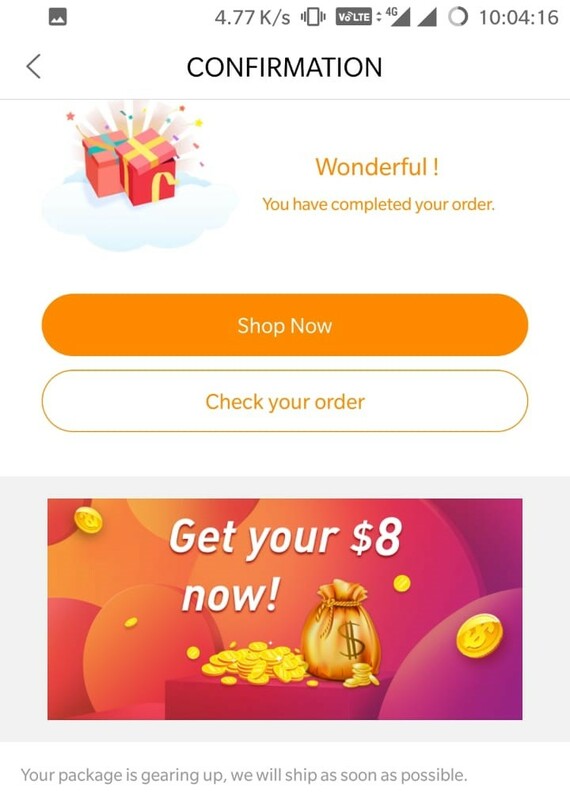 It is Online Shopping App where Millions of High Quality Products you will get with Great Discount and Deals, All Over World Free Shipping. Get clothes, bags, cosmetics, electronics, home decor & more at Very Very low Price. The app also Supports Direct Currency of Lots of big Countries so you Conversation Charges will also Save.